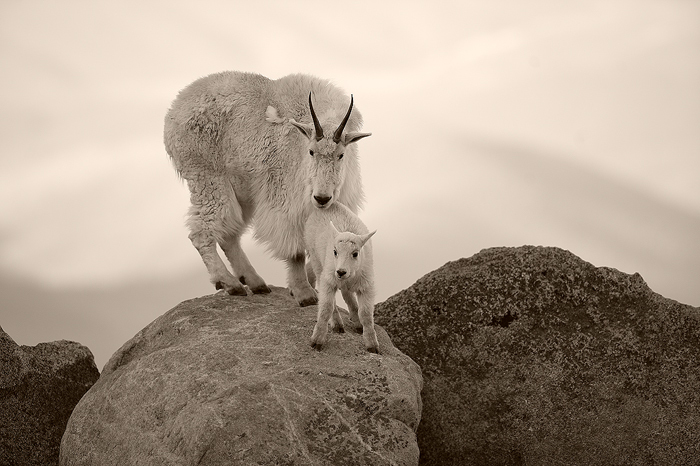 A nanny mountain goat and her kid stand atop a boulder on Mt. Evans. These incredible creatures exist in extremely harsh and rugged conditions. The small babies are able climb areas that would intimidate the most seasoned rock climber.